A curated assortment of must-own minis. Moroccanoil® Hair & Body Minis features best-selling favorites of the brand, including: the original Moroccanoil Treatment, argan oil-infused Mending Infusion, color-preserving Protect & Prevent Spray and Hand Cream Fragrance Originale from Moroccanoil Body™. • Protect & Prevent Spray (0.67 FL.OZ. / 20 ml) – provides on-the-go protection against the everyday factors that cause color to fade or become brassy, including pollution, UV and thermal damage. • Mending Infusion (0.67 FL.OZ. / 20 ml) – seals split ends and reduces other visible signs of damage for a silky, fresh-cut appearance. Also conditions and strengthens to help prevent further damage. • Hand Cream Fragrance Originale (0.67 FL.OZ. / 20 ml) – is a luxurious and concentrated hand moisturizer created to help repair dry hands. 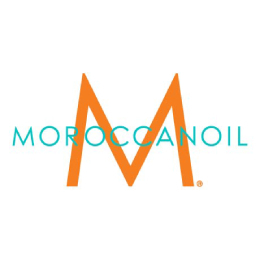 • Moroccanoil Treatment (0.34 FL.OZ. 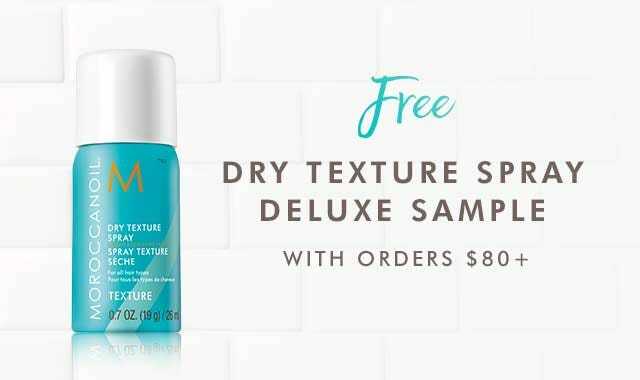 / 10 ml) – is an argan oil-infused conditioning, styling and finishing tool that sets the perfect foundation for hairstyling. • Mending Infusion: Apply a dime-sized amount between palms and work through dry hair, focusing on the ends after styling. Reapply as needed. • Hand Cream: Massage into clean hands and nails throughout the day as needed. • ArganID™: positively charged micro-particles are attracted to the negatively charged hair fiber, infusing argan oil into the cortex, while simultaneously helping to repair and seal the hair. • Varisoft: helps protect hair against breakage and frizz while conditioning and nourishing. • Heliogenol: helps prevent residual oxidation of haircolor and the stripping of haircolor pigments from the hair fiber. • Galactoarabinan: A viscous polysaccharide that is core to a proprietary blend of split end-sealing ingredients. • Baobab Extract: Increases hair elasticity and strength; helps provide damage recovery to leave hair looking and feeling softer and smoother. • Hydrolyzed Quinoa: Rich in amino acids for hair nourishment and conditioning. • Shea Butter: Rich in essential fatty acids that help increase moisture and strengthen the skin barrier. • Avocado Oil: Contains powerful antioxidants that help build skin’s natural defenses and restore moisture. • Linseed Extract: Derived from flaxseed, a good source of alpha linolenic acid—also an essential fatty acid that helps improve the health of hair.